Hello, everyone! Since I’ve recently covered another Oxford Jacket- the Melbourne 2.0, I decided to look at a pair of trousers from oxford that I haven’t covered before. I’m on the lookout for a decent pair for myself, you see, so I thought I’d make a blog about some of the things on my personal shortlist. I decided my next jacket will be the Melbourne 2.0 so I want a pair of trousers compatible with it and I’ve covered a fair few Oxford Trousers already. 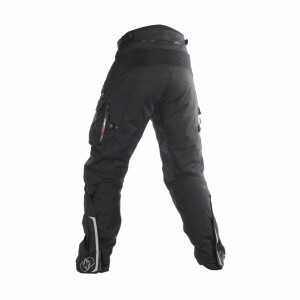 So lets take a look at the Oxford Wildfire 2.0 Motorcycle Trousers! Like with the other stuff I’ve had in mind, I have a list in mind. It’s a check list of little points I like to consider when I’m looking for new gear so that I can be sure I’m getting something that meets my requirements and will last me a good, long while. So lets dive into that list and see what the Wildfire trousers have to offer. The outer shell is made from Cordura and Ballistic materials. Cordura is a great, tough and lightweight material so it shouldn’t be tiring to move around in these trousers. They allow great freedom of movement and on top of that- “Ballistic Materials”. That sounds awesome. I may have to just get these trousers on the principal that they’re made out of such cool sounding stuff. They could be made from the heaviest stuff going but I could forgive them for being made of Ballistic Materials. Just like with a jacket, my trousers need to be able to handle whatever the weather can throw at them- they need to be warm in the cold, cold in the warm and dry when it’s wet. And the Wildfire 2.0 trousers actually accomplish this very well by using a couple of liners. The first liner is a fully removable thermal liner so if the day is looking cold, you can leave it in and if it’s looking hot, you can take it out. This makes the trousers much more comfortable to wear but I usually remove my thermal liners so I can wear a decent pair of jeans beneath them. So for a bit of extra air circulation the trouser legs have vents in them, intake vents on the front-facing edge of the leg pocket and exhaust vents on the rear-facing side of the leg pocket. This allows for air to flow through the trousers and pull out the hotter air so it can be expelled out the back through the exhaust vents. This is where I go back to talking about the Ballistic Material again and nerding out over how cool it is. But it really is good stuff. When you think of the speeds you can reach on a motorcycle, you want the best stuff you can get protecting your skin. And not just because it would hurt in an accident but there’s also gravel and debris getting kicked up on the road all the time. The last thing you want is something thin and pointless covering you when little stones are hitting your legs at 100 feet per second or more. The Oxford Wildfire 2.0 Trousers also have CE Certified armour in the knees, so you’re protected in an impact by tried and tested armour tech. They’re secured inside armour pockets inside the trousers, so if you want to, you can swap the knee armour out for a set you already have or prefer. A Cuffs criteria on a pair of trousers might seem like a silly thing but just like on jackets, a versatile cuff on the pants legs are important.The cuff of my current pair of trousers only just gives enough room for a pair of wider calfed boots to be tucked under. but it’s a bit of a tight fit and as the leg flexes, he cuff creeps up the boot a bit. So I want a pair of trousers with a cuff that can be adjusted to either tuck into boots or rest comfortable over them. And the Wildfires tick off that box quite nicely, the adjusters on the lower leg offer as much or as little room you could hope for. As with many of the Oxford products, the Wildfire 2.0 Trousers are plenty comfortable to wear in terms of fit, but it’s the little things that really make the difference. Things like the accordion stretch panels on the knees and back that allow the rider to flex and keep the trousers from feeling like they’re restricting movement by giving the trousers some movement of their own. The trousers even have a seating grip on the inner side of the leg to give you a good grip on your bike seat and keep you from slipping about on it in the wet. If you’ve ever read any of my other blog entries on Oxford Trousers you’ll know that I’m a big fan of many of them purely for their pocket placement. And these trousers are no different, I love the tactical location of the leg pockets because they give the trousers a cool look and its also a very practical place for them to be. The usual place for a pocket opening on a pair of trousers can be difficult to get in to when you’re sat on a bike, so having them a bit further down like a pair of cargo pants, makes them much more easily accessible without having to dismount the bike. Over all, I have to say that the Oxford Wildfire 2.0 Motorcycle Trousers are really cool and are a really great product. They’re protective, they look great, they’re comfortable to wear and they’re versatile, there’s little more a biker could want for. 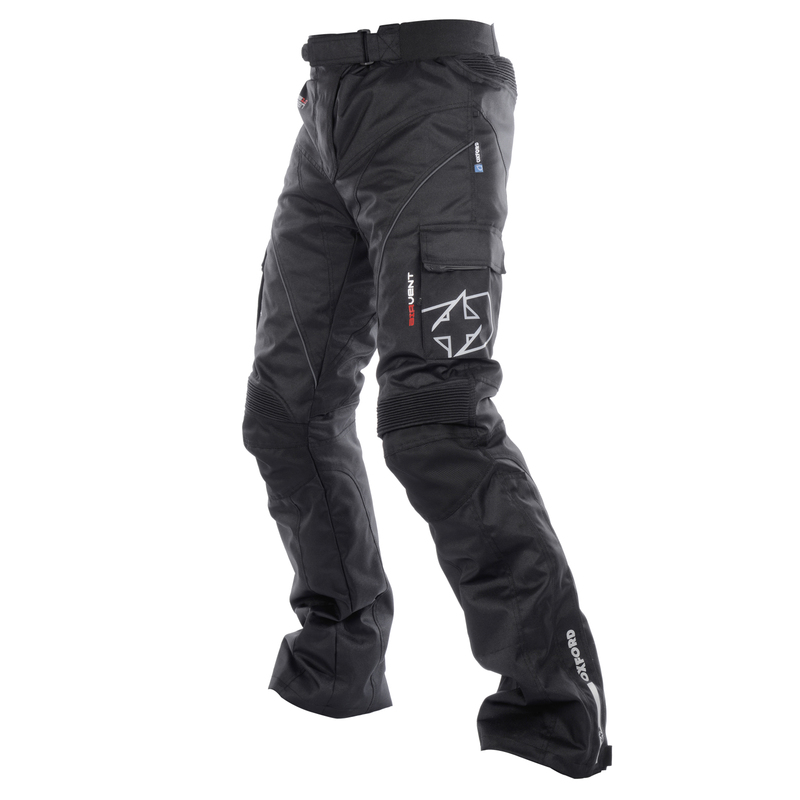 My favourite out of the Oxford Trousers used to be the Oxford Ranger 2.0 Trousers but now I think the Wildfire 2.0 Trousers have stolen first place. But everyone’s needs and requirements out of their gear is different and not every rider needs as much out of their gear as I do. So if you find that the Oxford Wildfire 2.0 Motorcycle Trousers aren’t for you, then there’s surely something else in our Oxford products range that’ll suit you just right.